Today, I'm kicking off a new blog series where a group of Orthodox Jewish woman bloggers will be writing about some frequently asked questions we get about our lives. If you have any questions you've been wondering about, please chime in in the comments below! Question: Do you find it boring to sit through endless Shabbat services conducted in a language you may or may not know? It's been more than two years (when I was pregnant with my oldest) since I've been in shul (synagogue) for a full davening (prayer). My shul attendance has been limited to Parshat Zachor--which I shouldn't really count, since it only lasts a few minutes--and shofar blowing on Rosh Hashana. So I'm going to spin this question a bit: How do I stay focused on the little davening that I do at home, where there are tons of distractions? Tali Simon is a writer, editor, and food blogger living near the Dead Sea. She loves to cook, her skinny husband loves to eat, and their two kids are rather unpredictable. Check out Tali's vegetarian recipes, weekly menu plans, and stories about life in Israel at More Quiche, Please. When I was a kid, my immediate family wasn't Orthodox, but we were frequent synagogue-goers. I knew several of the shorter basic prayers before I even hit the age of Hebrew school, learned more in that setting, and even more once I became a member of USY, the youth arm of the Conservative movement. It helped that we usually attended services where the melodies used were very singable. After college, I joined my first Orthodox shul. Most of the melodies were similar to those I knew from USY, and I quickly learned many of the "out loud" portions of the services that hadn't appeared in the Conservative prayerbook. However, I struggled a lot with the Hebrew in the long silent patches, and I really didn't understand the language enough to get a feel for what was going on. The first thing I did was simply read everything in English. If I was bored -- which wasn't so often, surprisingly -- I'd read the interesting footnotes and appendices in the back of the siddur. At a certain point, I decided that I really ought to get more out of shul attendance. I sought out books and classes about the prayers' meanings. Also, Rabbi Avigdor Miller once recorded a series of tapes about just the morning blessings -- the intentions he described in those classes have had a lasting impact on me, even after nearly 15 years. Eventually, I made a serious attempt to learn enough Hebrew to get by. One of the best tools for this, by the way, was using an interlinear siddur or book of Psalms. Learning more Hebrew brought prayer alive for me. My skills are still shaky, but greatly improved, and when I read through the siddur, I have genuine comprehension for the sentiments in it. Our family currently attends a synagogue with playgroups for the children, and I have no baby at the moment -- so I am free to stay for as much of the services as I like, without having to worry about keeping the kids quiet and happy. I really look forward to attending synagogue each Shabbos and holiday. I DO have friends and family who sometimes still struggle with the length of services. In many cases, they grew up with less of a Jewish background than me, or have yet to overcome the language hurdle. Sometimes, they simply have a shorter attention span. They take breaks or don't attend the entire services. Some of them bring a Jewish book to read for part of the services. All of these are possible solutions to consider. Rebecca Klempner is a wife, mom, and writer living in L.A. 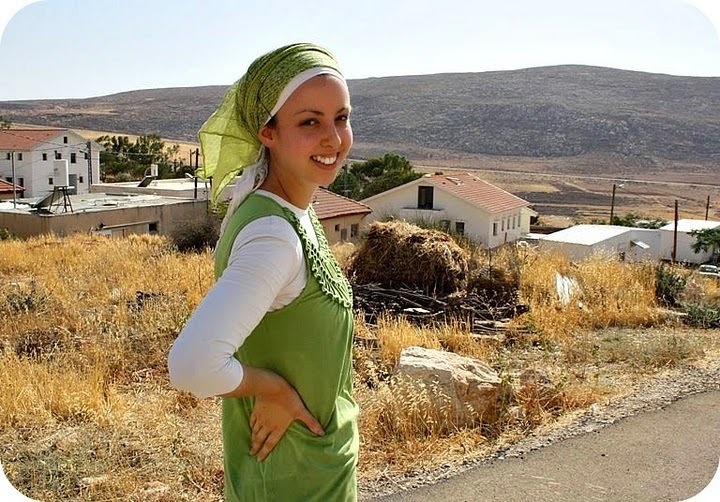 Her picture book, A Dozen Daisies for Raizy, appeared in 2008, and her short stories and essays have appeared in publications including Tablet Magazine, Binah, Hamodia, and Ami. Her current serial for teens and tweens, "Glixman in a Fix," appears weekly in Binah BeTween. I usually don't sit through services that much because my daughter is clingy in tot Shabbat. However, I have a hard time focusing when a service is all in Hebrew. I know some prayers, but if I lose my place or the person leading the service makes every word drag out, it's hard to stay in the moment. 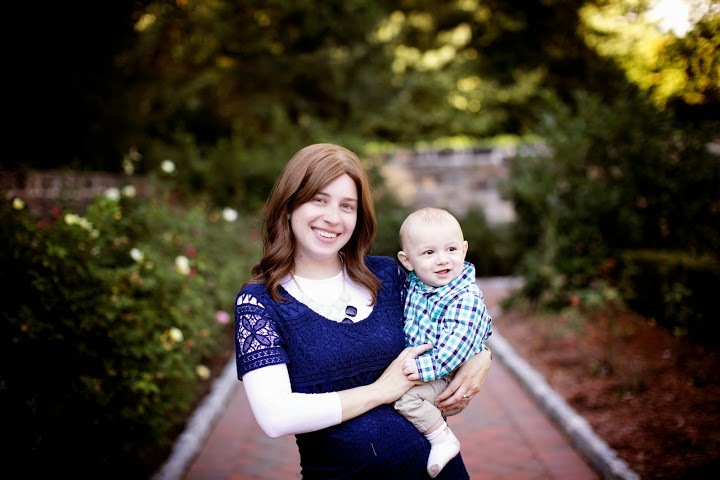 Melissa Amster lives in Maryland (DC Metro area) with her husband, two sons and daughter. 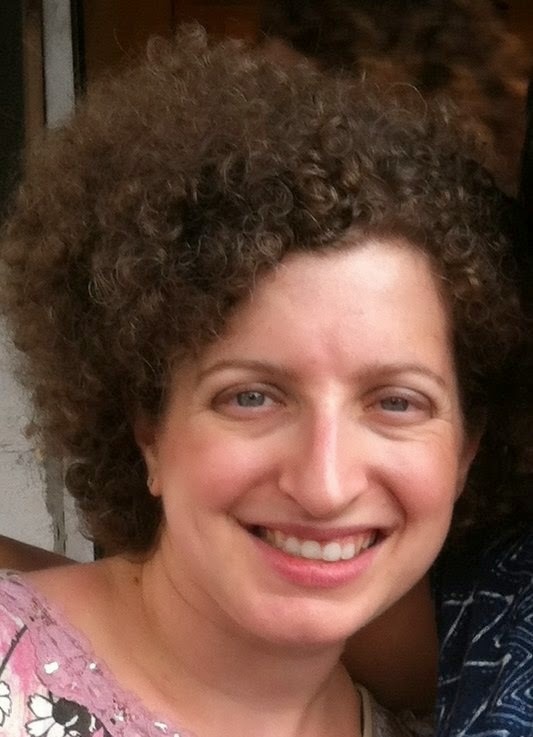 When she's not reading and interviewing authors for her book blog, she works for a Jewish non-profit. In her spare time (what's that?!? ), she likes to watch her favorite shows on TV, bake challah and desserts, and host meals and other gatherings. Check out her personal blog and follow her on Twitter. Well, it's easy to not be bored by long services...if you don't go to them. My favorite service is Fridays nights, which is not very long. The longest services are Shabbat morning, and I don't make it as often as I would like. Unfortunately, the shuls in my community have serious kavannah (concentration, for lack of a better word here) issues for me. One shul has too many talkers, and I get angry. Instead of davening, I'm calculating angles for how to throw a Kleenex box to hit the talkers in the head. That's probably a bad thing, so I stopped going when it became clear that the leadership could not effectively address this problem. The other has the only door located in the very small (4 seat) women's section, and teenage boys from the school there often come in and out. It's too distracting for people to be squeezing past me constantly. (And not many women attend, so often the boys are surprised to see a woman and slam the door in my face! But that's another discussion.) So...I stay home, and I'm a better person for it. I used to be so angry on Shabbat. As for the language issue, I think it's useful to share with others that I daven almost entirely in English. In fact, most of the Hebrew prayer I do is when I'm alone and not feeling pressured by the speed of a congregation. I'm a very slow Hebrew reader. I don't know Hebrew, but I've picked up a lot of words and phrases over the years. I found that attending weekday services regularly was the best way for me to learn the service really well. I can usually figure out where we are by being aware approximately where we are, listening for something I know, then finding the specific place. But...I don't usually do that. I go at my own pace while staying approximately where the service is. I'm usually a little bit behind the congregation, and I finally relaxed and accepted that I am slower than most congregations. I had to give myself permission to stop judging myself so harshly. Sometimes, for sure. My Hebrew is pretty weak, but even if it was solid, saying the same things can start to have a dulling effect. It starts to sound like just words. But it helps tremendously if the congregation is lively and there is singing involved. We are lucky at our synagogue to be small but spunky, with a couple of personalities that are very high energy and full of life. It also helps that it is laid back enough that, should I just find it very difficult to focus, I can duck out and head downstairs to help with the set up for the kiddush, or help watch the kids, or just chat with another mom. To me, Shabbat services are way more than the prayers, though they are important. It's also reconnecting with my community, letting my kids enjoy the synagogue experience (we are lucky enough to have an awesome woman who comes in and leads group activities for the kids), and catching up with people. Emily Chilungu is a 35-year-old mother of four. I am an observant Jewish convert married to another observant Jewish convert. I'm from rural Ohio and live in upstate New York. I’m at a stage in life where I don’t really get out to services much, and I only actually daven from the text of a siddur (prayer book) when I really prioritize it, and when my kids aren’t actively needing my attention. Day one: I’m so excited to be davening! This is great! I’m connecting to Hashem through these amazing, ancient words! Day two: Yay! (two minutes into davening) I need to get that at the grocery store, and make an appointment...oh no, I’m in the middle of davening and totally not focused! Focus, focus. Day three: Okay, I should daven. I should really daven. So even though I do enjoy davening, and like to connect through the words of the siddur, I still have to exert effort to not let it become ho-hum. There are some excellent books out there, like Praying with Fire, or Touched by a Prayer, or some other books that go into the deeper meaning of the words in the siddur, that can help me stay excited and connected to what I’m doing (when I’m doing it). Rivki Silver has spent most of her life immersed in the study of music, but for the past six years has been learning about marriage and motherhood. 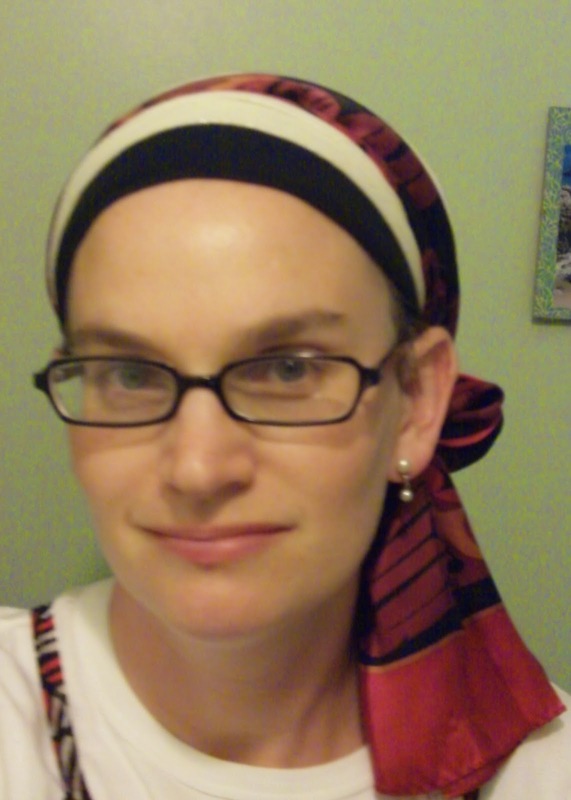 She writes about relationships, parenthood, music and religion, as seen through the lens of an Orthodox Jewish woman. 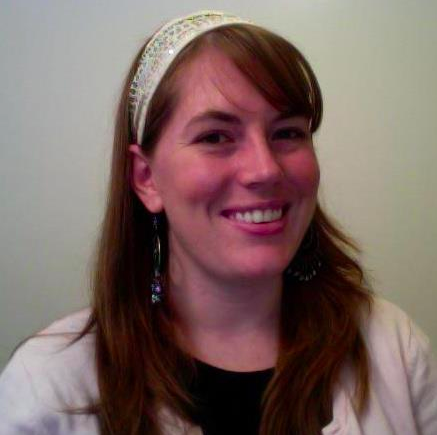 Her writing can be found on Kveller.com, Aish.com, PartnersinTorah.org, as well as her blog, LifeintheMarriedLane.com. You can also find her on Facebook and Twitter. Since I didn't grow up fully Orthodox, davening has always been a bit of a challenge for me. When I was in junior high, I would be working on just saying one blessing while my friends had finished the entire prayer! Now, however, I almost have the opposite problem--I know the prayers so well that I don't have to think about them, and can just mumble through them. My primary solution to this is to use songs whenever possible, since I connect to spirituality through music. Every Friday night, I sing Kabbalas Shabbs (the Friday night service) as my kids play and sometimes clap along, and it's the spiritual highlight of my week. 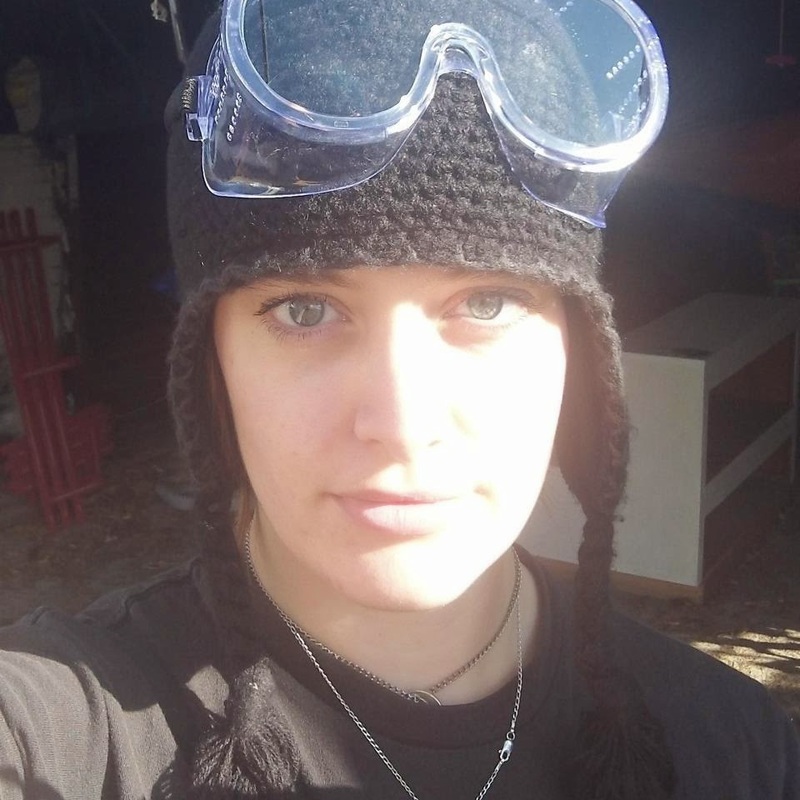 Keshet Starr is your resident blogger:) To learn more about me, check out the sidebar--> ! How do YOU approach prayer? Are there any questions about Orthodox women that YOU have been wondering about? I'm a Jewish Grandma looking forward to reading more blog posts on this subject. What a great idea and I love it already! Thanks for the link Rivki, I know almost nothing about the practical aspects of orthodoxy. Even the terminology in this post had me guessing from context! I'd love to learn more though! if you need any other participants I'd love to take part! This is a great series! I love reading about your religion. Great topic! It's amazing to read how so many people with different backgrounds share the same struggle. Can't wait to read more! This is fascinating!! Thanks for sharing. north face pas cher Masse d'air north face homme pas cher change de nouveau la couleur, le type de jaune progressivement approfondi, peu à peu north face pas cher estompé. pas cher sentir surpris, mais a estimé l'air de la mer est en cours de masses d'air qui se north face pas cher brisent. Semble north face femme pas cher bas-ventre d'éclater, la douleur à travers nerf empiéter sur le cerveau, et dans l'instant, la masse d'air va soudainement sombre lumière revient, après un éclat instantané fanée, north face pas cher présenté devant une masse de rose pas cher. cœurs de surprise pas cher, mais incapable de north face pas cher contrôler ce groupe rose. CINQ masse d'air doudoune north face pas cher dans le rose-précipités non leurs membres et non de la tête.